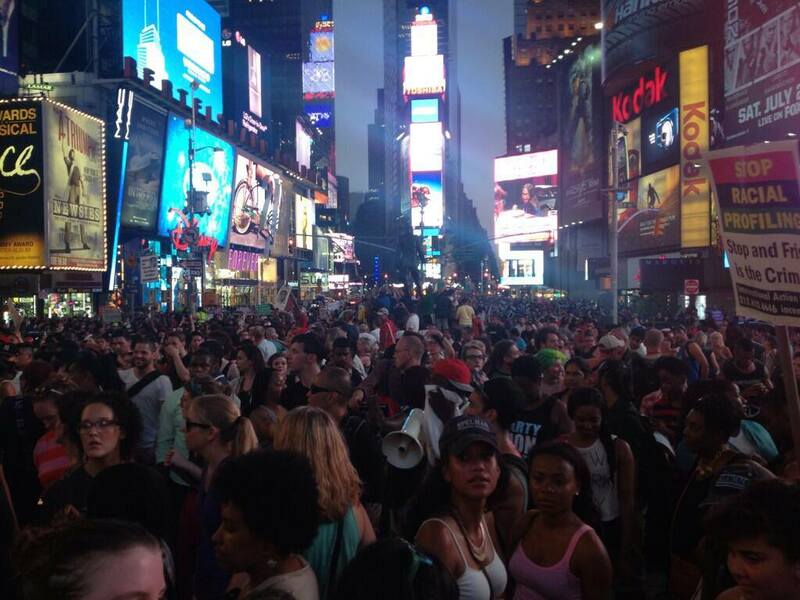 Thousands rallied in Times Square, NYC against the acquittal of George Zimmerman. 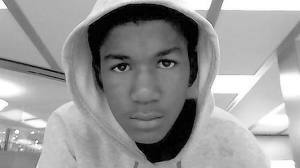 On February the 6th, 2012, vigilante George Zimmerman killed African American teenager Trayvon Martin. It took 44 days and mass protests to initiate prosecution against Zimmerman. On the 15th of July 2013, George Zimmerman was acquitted. In a piece reprinted from Socialist Worker, (US) Keeanga-Yamahtta Taylor analyses the racism underlying the killing and the verdict. SHOCK, HORROR and then rage. These were the feelings experienced by tens of thousands of people across the country as they struggled to comprehend the meaning of George Zimmerman’s acquittal. How could Zimmerman be free? It was he who stalked Trayvon Martin, confronted him, pulled out a gun and ultimately murdered the unarmed teenage boy. Trayvon Martin was killed in February 2012 because George Zimmerman decided he was in the wrong place at the wrong time. Instead of Zimmerman being held accountable for his deadly act of racial profiling, Martin, his family and friends were put on trial, first in the media and then in the courtroom–and they were ultimately found guilty of being Black in a country where Black lives get next-to-no value nor respect. THE FACTS surrounding this case, from its beginning to its shocking end, show the depth of racism in the United States–and yes, that’s a United States presided over by an African American president. The police immediately and instinctively accepted Zimmerman’s version of events–that he acted in self-defense. His arrest only came after weeks of protests that brought thousands of ordinary people into the streets to demand justice. The outcry was so widespread that even President Barack Obama to compelled make a sympathetic public statement about Martin. 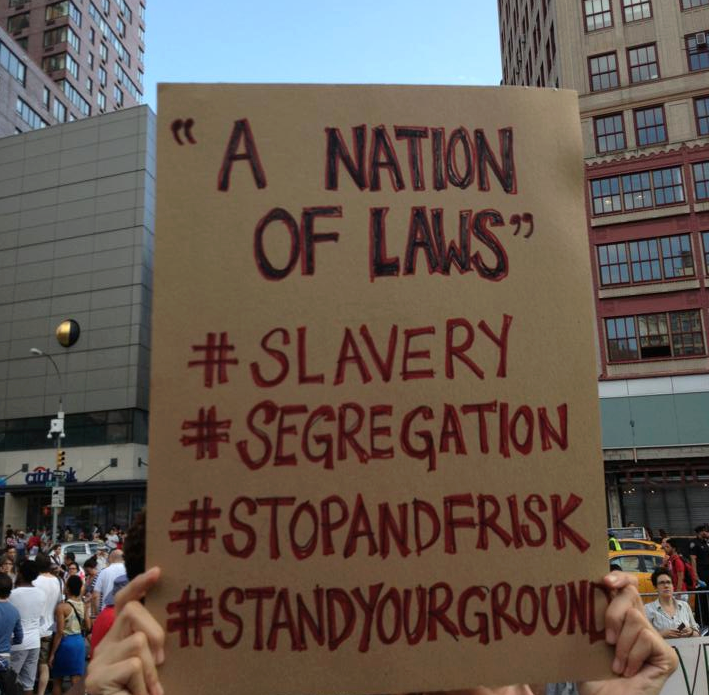 The Zimmerman trial was supposed to show that the system could work in achieving justice for African Americans. Instead, lazy prosecutors–who are used to railroading boys like Trayvon–proved not to have the same vigor in prosecuting someone like Zimmerman. Meanwhile, Zimmerman’s attorneys methodically employed every racist stereotype about young Black men they could conjure up. By the end of the trial, someone who didn’t know the facts of the case might have guessed that Martin profiled, chased and killed Zimmerman–not the other way around. There are those who insist the outcome of the Zimmerman trial isn’t about race, but the intricacies of the law–about what’s permissible in court and other legal mumbo jumbo. But the Trayvon Martin case has proved once again how racism is woven into every aspect of the justice system, including the courtroom. If anyone doubts the answer to the often-asked hypothetical question–what would the outcome have been if Martin was white and his killer African American–consider the case of Marissa Alexander. Alexander is an African American resident of Jacksonville, Fla., who was put on trial in Florida–by the very same state attorney in charge of Zimmerman’s prosecution, in fact–for aggravated assault because she fired a warning shot into a wall in order to scare off an abusive husband. Alexander even used the same Florida “Stand Your Ground” defense that allows someone fearing for their life or safety to use a weapon in self-defense. So what happened? Zimmerman was acquitted of any responsibility in the death of Trayvon Martin. Alexander, who was accused of firing a single warning shot that didn’t cause the least harm to anyone, was found guilty by a jury that deliberated just 12 minutes, and was sentenced to 20 years in prison. THE OUTCOME of the Zimmerman case, however, isn’t only about prosecutors, defense attorneys and courtroom strategy either. It’s about how the demonization of African Americans–and in particular, young African American men–has become so widely accepted and normalized that a teenager can be hunted down and murdered because he is Black, and no one is punished. The insistence that race is only an issue in U.S. social and political life when race is mentioned isn’t just the erroneous belief of the misinformed Florida judge who presided in the Zimmerman case and banned the discussion of race from the trial. It is now widely accepted throughout the U.S. that the absence of racial language means the absence of race or racism. This was recently confirmed by the U.S. Supreme Court when it struck down significant sections of the Voting Rights Act–one of the central achievements of the civil rights movement–because, as Chief Justice John Roberts put it, “our country has changed.” While Roberts conceded there were still some instances of racial discrimination, the thrust of the court’s ruling was to claim that the country had moved past the era of systematic discrimination. This was the claim made by the professional media in 2008 as well, as they celebrated the election of the country’s first Black president, Barack Obama. Commentators repeatedly suggested Obama’s election meant the U.S. was entering a “post-racial” era. This narrative about the American Dream and the wonders of U.S. democracy isn’t some folksy tale about self-empowerment and the rise of a Black president. It’s a legend designed to redirect attention from structural inequality, racism, imperialism, genocide and all of the other ingredients that constitute the real story of America. Obama is held up as a prime example of how it’s possible to advance under American democracy–and those who fail to rise and become successful are therefore told it’s their own fault. The Zimmerman trial confirmed this when Trayvon Martin was systematically blamed for his own death. That ugly scapegoating is connected to the way African Americans are regularly blamed for all sorts of things–their unemployment, or disproportionate levels of poverty, or higher levels of imprisonment, or harassment at the hands of police, or higher levels of foreclosures and evictions, or the mass closures of the schools they send their children to. It’s always the individual’s fault–and never the system that creates and perpetuates inequality. Black people–along with other groups suffering systematic discrimination–are encouraged to buy into a story that blames them for their own oppression. ONE OF the jobs of those who would like to see some measure of justice for Trayvon Martin and all the other victims of discrimination in this society is to bring the word “racism” back into the nation’s political lexicon. This is the only way to make sense of the unequal conditions that most African Americans and other minorities live under. Racial discrimination–and the consequence that greater numbers of African Americans endure poverty, unemployment, poorly funded schools, housing insecurity and the rest–is not, in most cases, caused intentionally, as it once was. Today, inequality is the outcome of centuries of racial oppression and economic exploitation. This is a country built on the enslavement of people with Black skin and then, at slavery’s end, the imposition of 100 years of legal discrimination against African Americans. So no one can simply decide, some 40 years after the last explicitly racist law was taken off the books, that racism is no longer an issue in American life. But the perpetuation of the myth that we are living in a post-racial era isn’t a mistake. It’s a deliberate attempt to direct anger away from systemic causes, and onto the victims. Thus, when President Obama released a statement in response to Zimmerman’s acquittal, he didn’t mention racism, racial profiling or even injustice. Along with the standard platitudes that “we are a nation of laws”–effectively, a call to respect the decision of the jury–Obama cited “gun violence” in our “communities” as the real issue–as if “gun violence” has anything to do with Zimmerman’s racially fueled vigilante justice. Then again, Obama–at least since becoming a national political leader–has always avoided any opportunity to speak out about the persistence of racism and inequality in the U.S. The murder of Trayvon Martin suggests that while many things have changed since that historic march, many things have not. The lives of Black men, women and children were cheap in the Jim Crow South, and civil rights activists often looked to officials in Washington, D.C., to step in and prosecute cases that local redneck officials wouldn’t. Today, we make the same call for the federal government to do what local and state officials in Seminole County, Fl., wouldn’t and couldn’t.